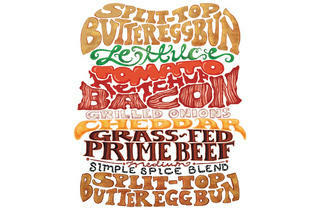 Traditionalist Eddie Lakin of Edzo’s Burger Shop walks us through building your own burger. 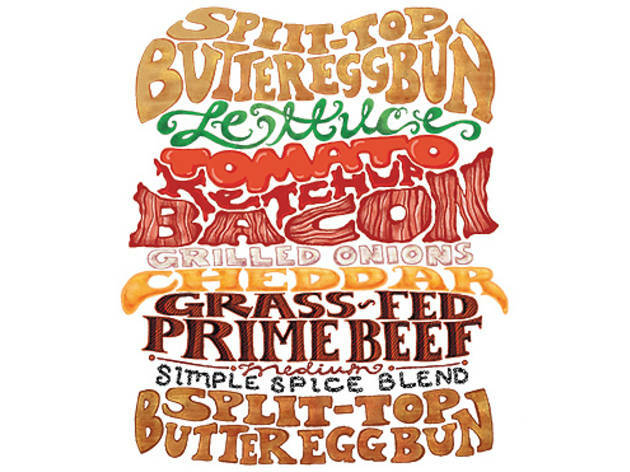 One look at the menu at Edzo’s Burger Shop in Lincoln Park and it’s clear proprietor Eddie Lakin is a patty purist. The letter-board menu offers just one style—crispy-thin griddled (a second, the juicy cooked-to-order char, is available only at the Evanston shop). Toppings are basic: cheese, bacon, lettuce, tomato. Take Lakin to a place like Lincoln Park neighbor Butcher & the Burger, known for its DIY approach to building bespoke burgers from ten patty options and as many spice blends and add-ons, and it’s like watching someone play Go Fish with Nate Silver. “My strategy,” Lakin says before stepping up to Butcher & the Burger’s counter, “is to choose a style first, then derive it to make your choices. Do you want to go classic? Asian?” If you simply choose ingredients you like without a theme in mind, he warns, “you might wind up with stuff that doesn’t go together.” Below, Lakin offers a tutorial on building a classic burger. B&TB’s purest option is simply a mix of kosher salt and black pepper—chosen, Lakin says, as to not overwhelm the lean beef. A croissant may work for a breakfast-style burger, but not for Lakin’s theme. He chooses a timeless split-top bun. The grilled onions are an automatic—they’re a staple at every old-school burger joint. The bacon isn’t a must, but it doesn’t clash with the other ingredients, and Lakin likes the flavor it adds.